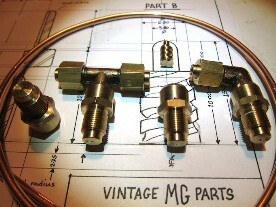 We have designed our own Ki-gass jet heads and also sourced appropriate brass 1/8th BSP 90 degree and T-piece fittings. 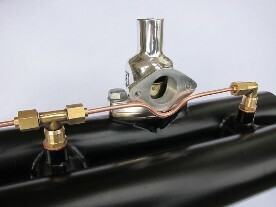 We can supply a complete dual jet assembly including copper washers, or individual components. We can also supply 1/8 inch OD copper tubing to your desired length. We also manufacture J and P Type Jackson design cylinder head inlet manifolds and blow-off valves.